Always inform the owner that you are contacting him via the server Slovakian mountains. Trusted European brand Server Slovakian mountains and highlands has been operating since 2002, founded by European company eProgress Ltd.
Well-arranged sites with high traffic During the 17 years server Slovakian mountains and highlands has become modern, user-friendly website, which serve thousands of users every day (no operators, no unnecessary intermediary between you and the property owner). according to New Year's Eve 2018. It is recommended to chose your accommodation for New Year's Eve as soon as possible. New Year's Eve in the guest house. 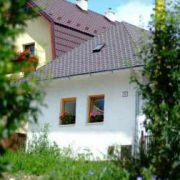 Book your accommodation in a guesthouse in the High Tatras with beautiful view on the High Tatras. You get a discount … More » in Aquapark, cableway etc. Parking, wifi and own restaurant. New Year's Eve in the guest house. 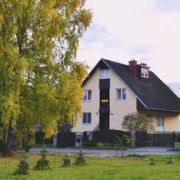 Family guest-house under the Lomnicky stit mountain in village Stara Lesna, near ski resort Tatranská Lomnica. … More » We offer accommodation in 2 and 3 bed rooms. Lounge with TV and WiFi. Fully equipped kitchen, summer terrace with a grill place. Parking free of charge in an locked area. Accommodation for New Year's Eve. 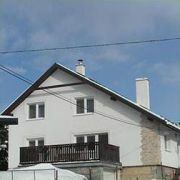 Apartment offers bedroom, living room, kitchen and sanitary facility. Total capacity 6 beds + 2 extra beds.